In the early 2000’s when I was really getting excited about learning how to garden, one of the first resources I turned to was a website called You Grow Girl by Gayla Trail. I probably saw it mentioned in a zine about gardening. Something about it felt very punk rock. Trail’s site was different than other resources, and it spoke to the anti-authoritarian, non-conformist in me. Reading through the About page today, Trail’s punk rock spirit hasn’t waned, and I can see why her site appealed to me. Now with well over two decades of gardening experience to draw from, Trail continues to run her site, has written five books (including one called You Grow Girl), and her “contemporary, laid-back approach” to gardening remains essentially the same. In her words, she “places equal importance on environmentalism, style, affordability, art, and humour.” Her “aim has always been to promote exploration, excitement, and a d.i.y approach to growing plants without the restrictions of traditional ideas about gardening.” We share these sentiments, which is why when I learned of her most recent book, Grow Curious, I knew I needed to read it. 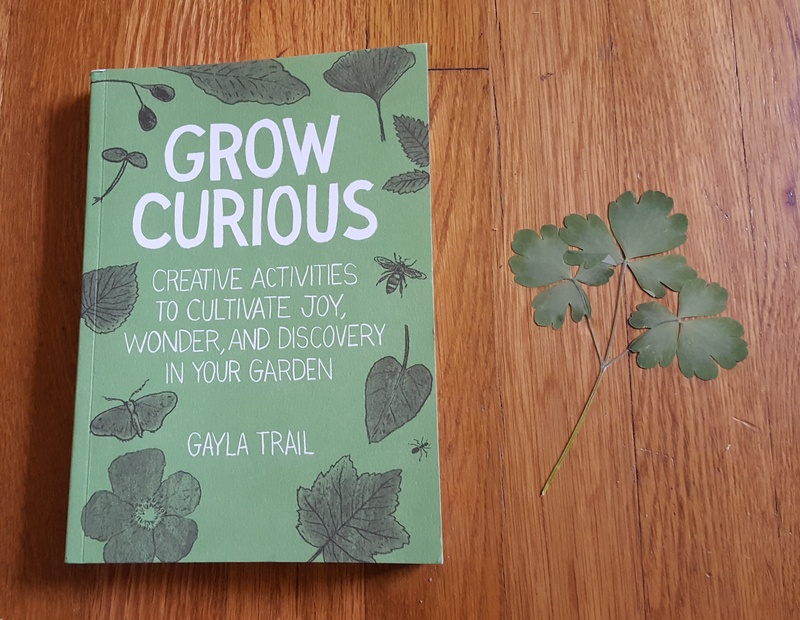 Grow Curious by Gayla Trail accompanied by a pressed leaf from Trail’s garden. Grow Curious is an activity book for gardeners of all ages, backgrounds, and skill levels. It diverges from most books about gardening in that it is not a how-to or a what-to-plant-where guide. 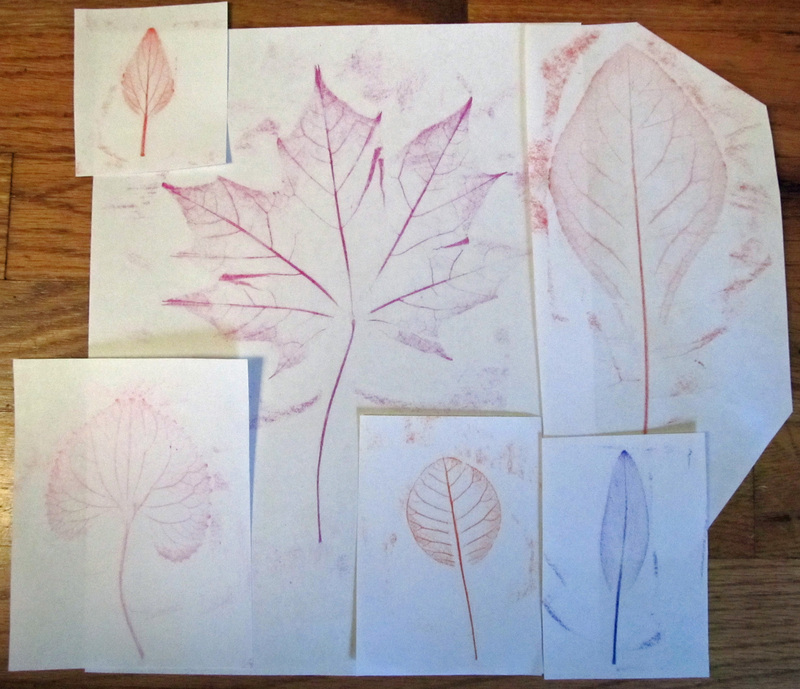 It is instructional, but only in ways that are less about getting our chores done and more about helping us explore our gardens in order to see them in a new light and open our eyes to the remarkable world that is right outside our door – a world often overlooked because we have work to do. Trail’s book is also meant to reinvigorate any of us that may be a bit disillusioned by the act of gardening – having misplaced our spark along the way, lost in the drudgery of it all. It’s about stopping for a minute, looking around, and seeing things we maybe haven’t noticed before but that have been there all along. If you have been following Awkward Botany for a while, you can probably see why this book is right up my alley. If you enjoy reading Awkward Botany, this book should be right up your alley, too. As discussed last week, our wild, urban flora is a cosmopolitan mixture of plants that were either native to the area before it was developed, introduced from all corners of the world on purpose or by accident, or brought in by migrating wildlife. 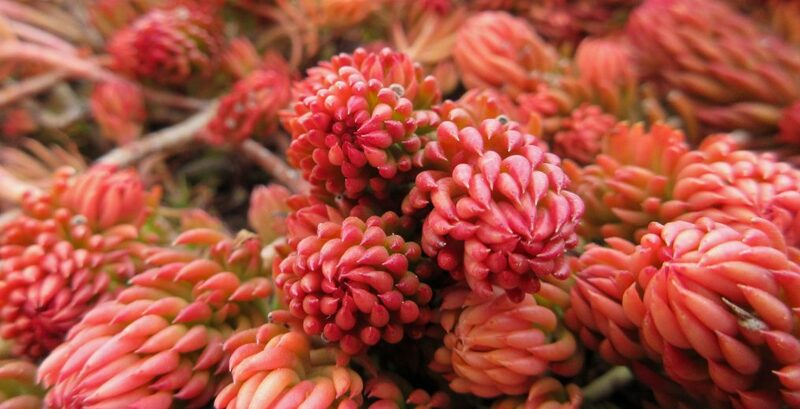 These are plants capable of establishing and sustaining themselves outside of human cultivation and management, and are found in abundance beyond the borders of our tidy gardens and manicured landscapes. They vegetate sectors of our city that have been abandoned, overlooked, or routinely neglected. Given enough time – and prolonged lack of intervention – such vegetation will proceed along the process of ecological succession in the same way that plant communities in natural areas do. 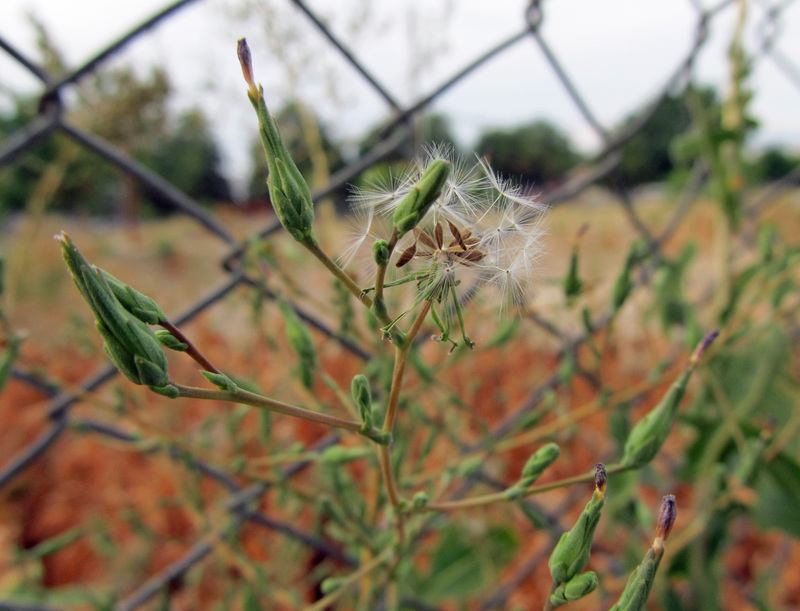 And just like other plant communities within their respective ecosystems, these wild, urban plant communities provide a suite of ecological services vital to the health of our urban ecosystems. 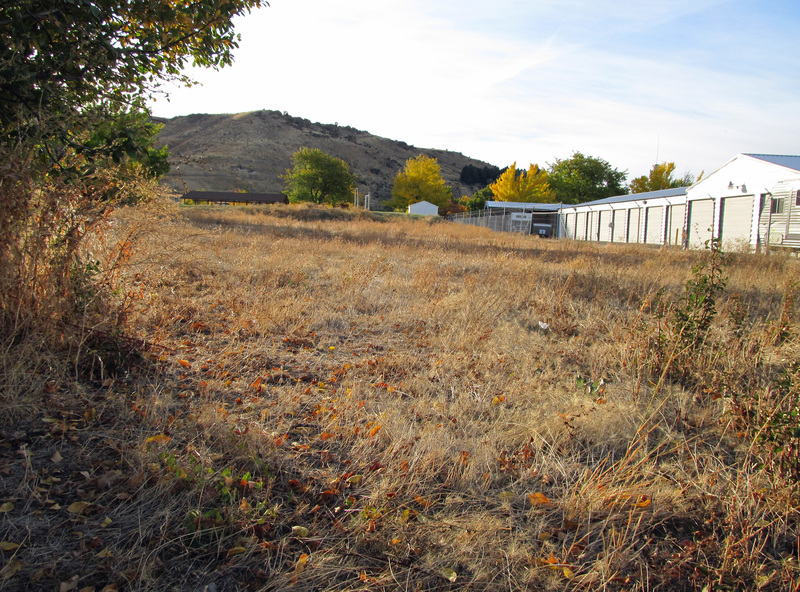 There is one unfortunate downside – “weedy” landscapes like this are, by popular opinion, thoroughly unattractive and a sign of urban decay. This belief is held in spite of the fact that many of the plants found therein would be cherished or admired in other settings. Among deteriorating infrastructure, litter, and less attractive plants, some of our favorite plants are rendered guilty by association. 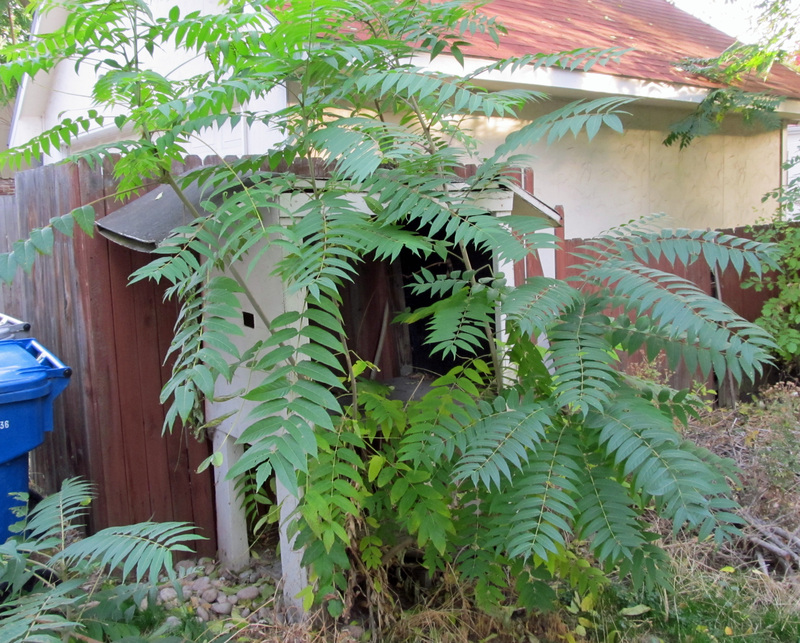 Despite their ecological benefits, abandoned areas vegetated with wild, urban plants are not favored by the public. So, to appease our aesthetic standards, sites like this can be enhanced through minimal intervention to be more attractive while retaining their ecological functions. In a paper published in a 2006 issue of Journal of Landscape Architecture, Norbert Kühn asserts that “to use spontaneous vegetation for ornamental purposes, a kind of enhancement or design work is necessary.” Species can be added and removed, and simple, infrequent maintenance measures can be implemented. Examples include extending the flowering season with spring flowering bulbs and mowing the area once or twice annually to maintain and improve the composition of the stand. 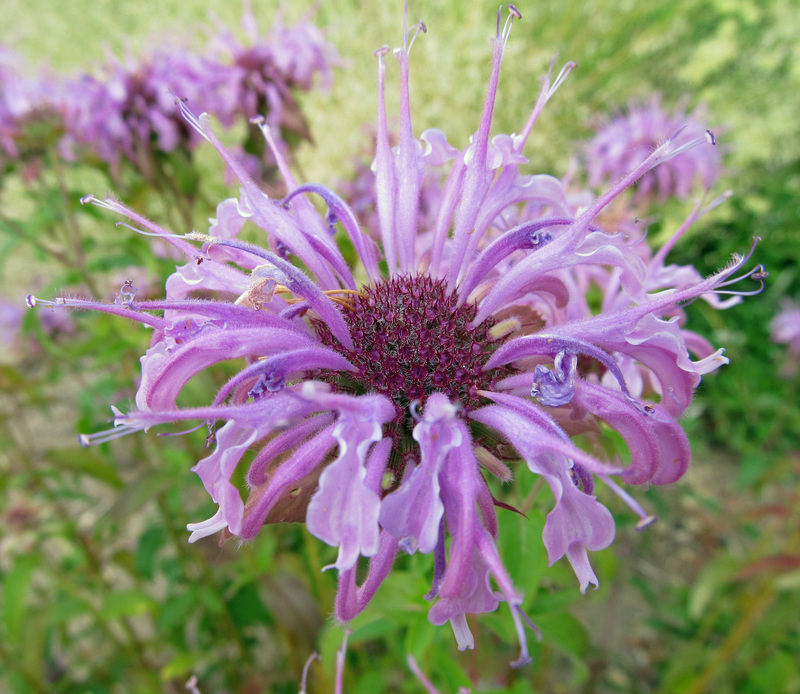 Wild bergamot (Monarda fistulosa) – one of the plants that Norbert Kühn included in his study as a candidate for improving the aesthetics of spontaneous, urban plant communities. Favoring attractive weeds over less attractive ones and using minimal maintenance to improve aesthetics and function are the principles behind Del Tredici’s “cosmopolitan urban meadow.” In his book, he lists some criteria for plants that would be suitable for “this novel landscape form,” including: erosion control (long-lived; vegetatively spreading), stress tolerance (full sun; drought; compacted and polluted soil), aesthetic value (ornamental characteristics; not “weedy” looking), wildlife friendly (attractive to pollinators; edible seeds), and commercially available. ‘Wild’ and ‘cultivated’ are social constructs that we place in opposition to each other, when in reality there is a knotty labyrinth between them. We subjugate our cities and our gardens with chemicals and artifice because we are unable to see that wild and cultivated can be entwined, can be all at once tended, lyrical, surprising, domesticated, irrational, functional, and free. 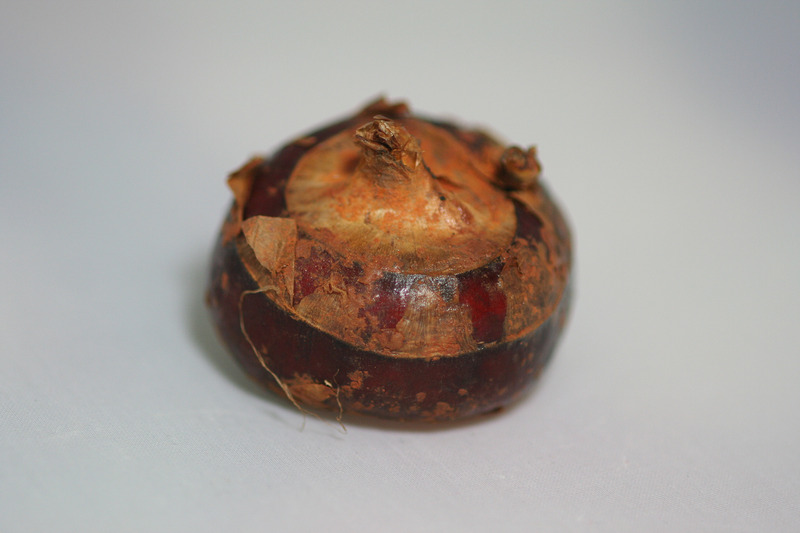 What Is a Water Chestnut? This question came up on a recent episode of Every Little Thing, and while I have eaten water chestnuts on numerous occasions, I realized that I have never really considered what they were or where they came from. Thanks to the folks at ELT, I am better informed. So, why not spread the wealth? Chinese water chestnut (not to be confused with Trapa natans, which is also commonly known as water chestnut) is in the family Cyperaceae – the sedge family. Known botanically as Eleocharis dulcis, it is a member of a sizable genus collectively referred to as the spikerushes or spikesedges. Its distribution is quite expansive, spanning sections of Australia, tropical Africa, several countries in Asia, as well as islands in the Pacific and Indian oceans. It is commonly cultivated in regions outside of its native range, including in North America as a novelty crop. 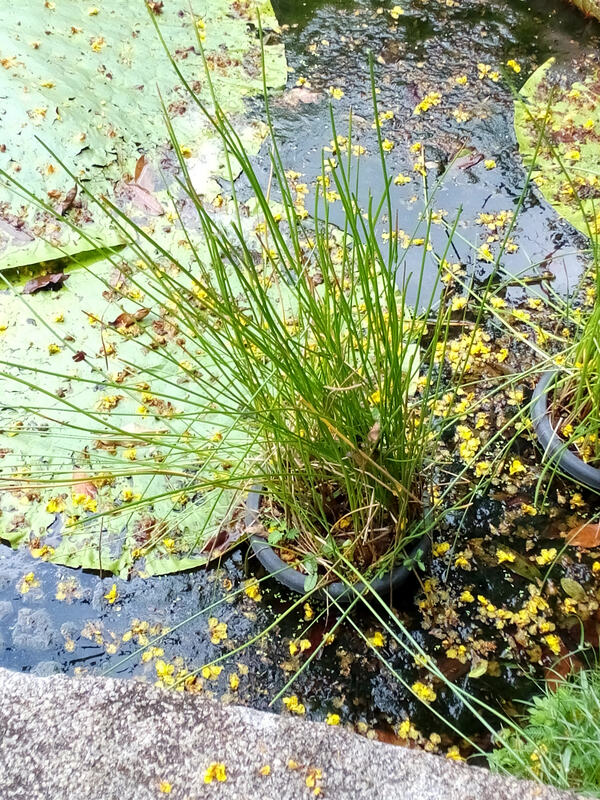 Eleocharis dulcis is a perennial, aquatic plant that grows in marshes, bogs, and the margins of other wetland and riparian areas in tropical and subtropical climates. Individual plants are clumps of tall, stiff, upright, leafless stems that can grow to over one meter tall. An infloresence is borne at the tops of stems and is a short, cylindrical cluster of small, yellow-brown florets. Clumps of stems are connected via rhizomes, and in this manner dense colonies can be formed. 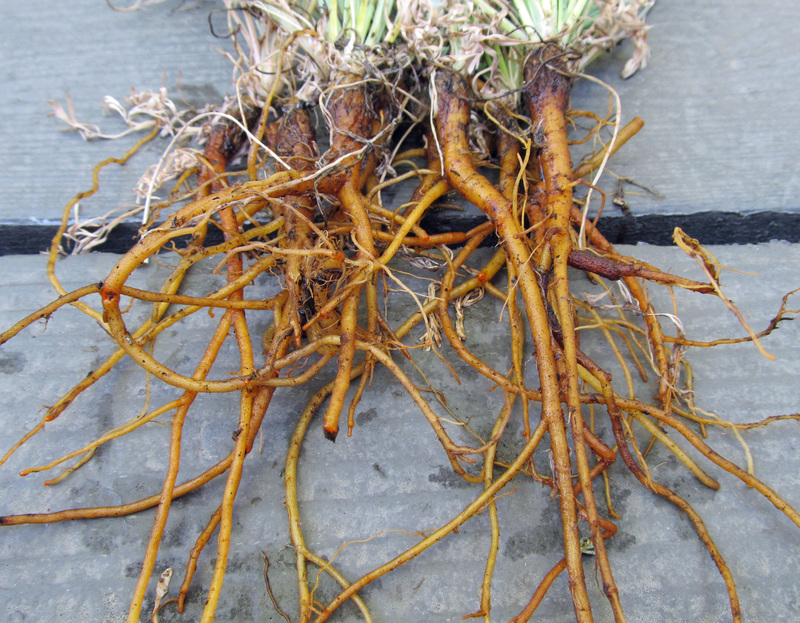 Rhizomes also terminate in corms, which are the edible portion of E. dulcis and the part of the plant that we refer to as water chestnuts. Corms are underground storage organs. They are the bases of stems that have become thick and swollen with starch. They are often covered in papery scales – which are the remnants of leaves – that help protect the corm from being damaged or drying out. Buds on the top of the corm form shoots; adventitious roots form on the bottom of the corm. Tubers, which are also modified stems and underground storage organs, differ from corms in that they have growing points at various locations along their surface rather than a single growing point at the top. 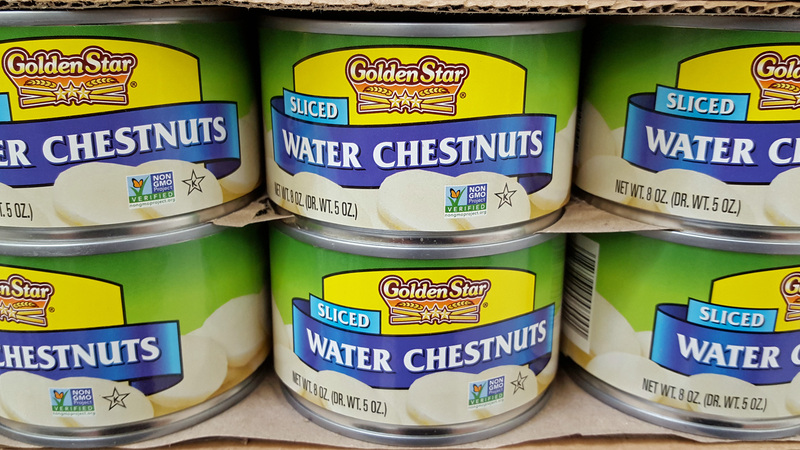 Common misconceptions are that water chestnuts are nuts or roots. They are neither. They are corms, or in other words, they are modified stem bases. Apart from that, they are vegetables. Curiously, they are vegetables from a plant family that does not produce much in the way of food for humans. Consider that the next time you eat them. You are eating a sedge. Chinese water chestnuts can be prepared in many ways, both raw and cooked. I have only had them in stir fries, but they can also be used in salads and soups or ground into flour to make water chestnut cakes. Interestingly, even when they are cooked they remain crisp. This has something to due with the special properties of their cell walls. As an agricultural crop they are often grown in paddies in rotation with rice. With a few preparations they can also be grown at home alongside your other vegetables. Further information and instruction can be found at various locations online including Permaculture Research Institute, Missouri Botanical Garden, and Plants for a Future. Having only eaten water chestnuts from a can, I am anxious to try fresh, raw water chestnuts. Apparently they are available at certain Asian markets. When I get my hands on some, I will let you know what I think. Follow me on Twitter or Facebook for further updates. What are your favorite ways to eat Chinese water chestnuts? Let us know in the comment section below.